The Spectre-Class Attack Frigate is a close relative to the Valiant/Defiant-Class starship, in that it contains a cloaking device and is deployed in deep-space infiltration operations. 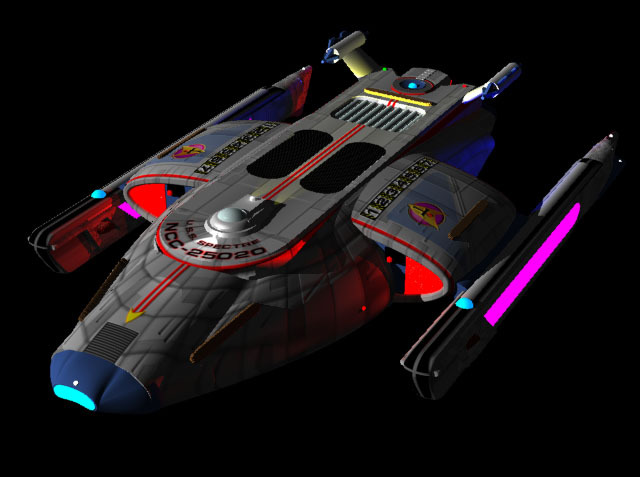 Two of its most notable differences, however, is the existence of a phase-cloaking device, integrated into the primary warp core, and a series of multi-purpose photon torpedo launch tubes covering the main hull of the ship. The phase-cloak was a device first developed in 2358 by Admiral (then Captain) Erik Pressman, installed aboard the Oberth-Class starship USS Pegasus (NCC-53847), as a secret tool of defense against the perceived Romulan threat, as instigated by the Treaty of Algeron, forbidding the use of cloaking technology on Federation starships. 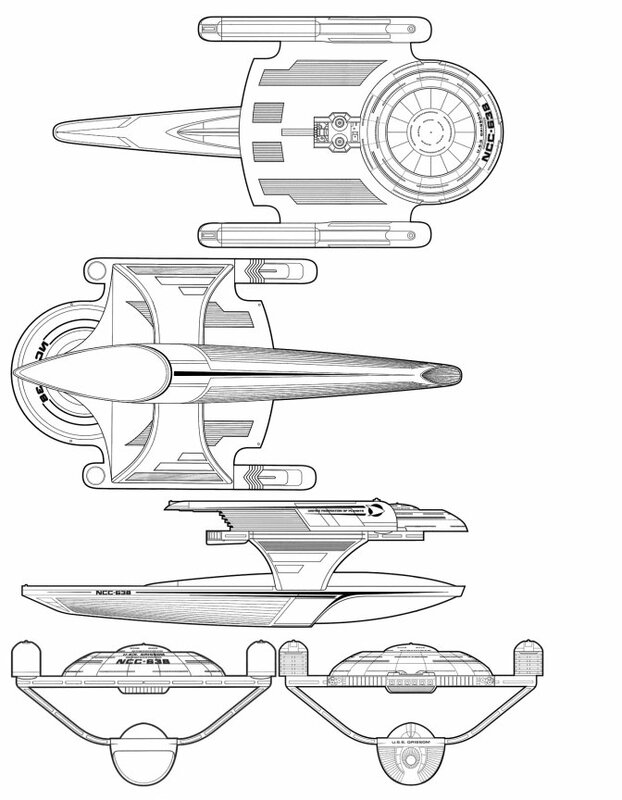 Upon the rediscovery of this technology on Stardate 47457.1 (2370 A.D.), by Admiral Pressman, with the aide of the USS Enterprise, it was quickly pulled back into the Starfleet Corps of Engineers for the design of our latest line of war vessels, of which the USS Spectre is the class ship. As a side note, Admiral Erik Pressman has been listed as missing on stardate 48812.2, following a mysterious jail-break on the New Zealand penal colony where he was incarcerated. There is no current official information on his whereabouts, or on his liberators, only that several accounts of witnesses at the colony testify that the military precision at which Pressman was extracted was uncanny. The total time elapsed for operation completion was exactly 24.63 seconds...or at least, that's what we heard. 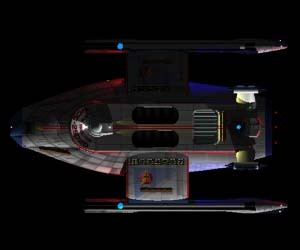 The multi-purpose photon torpedo tubes are the home for their primary tenants, the MARK VI-X personnel transport and penetration torpedos. Other conventional torpedos and a variety of probes can also be launched from these same tubes at a moment's notice, should the need arise.